Did you know, between the ages of 3 and 8 years, children’s brain tissue uses twice as much energy as adult brain tissue? So what’s all that energy being used on? Here are 5 social skills that your kids are starting to develop through their first few weeks at preschool. By playing with a group of other kids their own age, our little ones are developing their teamwork skills: learning to take turns and be mindful of other people’s feelings (and belongings). These team skills can be pretty rewarding for kids, making them feel like they’re part of a real community. To continue building these skills at home, why not organize some team games the next time your child has friends over? While kids start to play with others, they’ll probably be engaging in ‘pretend play’ (you know, when they run around roaring and then tell you you’re dead, so fall over...) which is very important to many aspects of their development. One aspect is learning how to express their emotions. 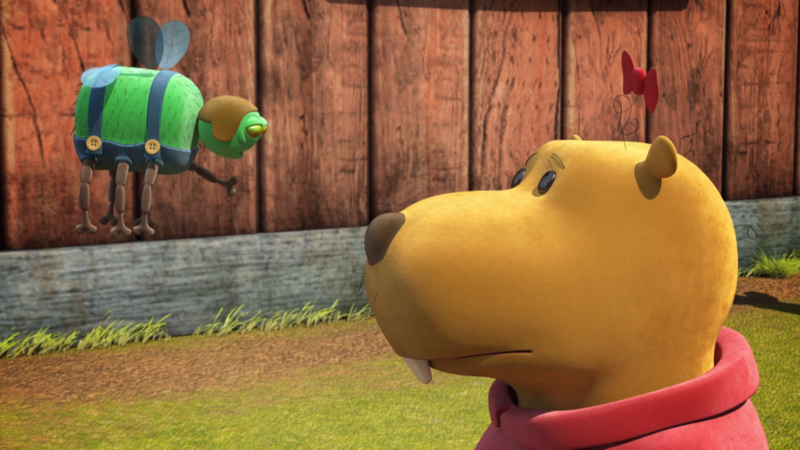 By playing the scared mouse or the angry mom, your kids are gaining a better understanding of how they express their emotions and the emotions of other people around them. Following rules set out by mom or dad is quite different to following rules set by a preschool teacher for everyone to follow. Once children are able to understand these kinds of rules, the way they play changes. 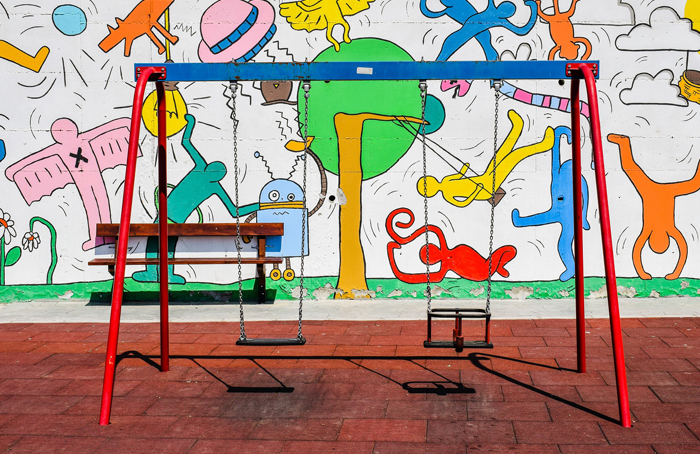 Preschool-age children lean to create their own games such as hide and seek or running contests, helping them understand the importance of taking turns and respecting others. Playing games with rules doesn't have to stop at the school gates! 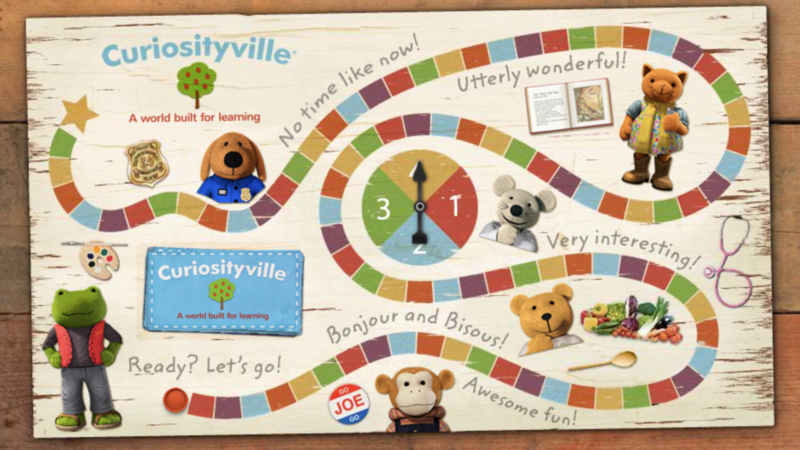 Interactive games such as Curiosityville: Curiosityland in the Curious World App are especially designed to teach young children how to recognize and respond to rules, making for a big step in their social development! During their hours at preschool, your child is interacting with their peers and the preschool staff without you around. This independence is helping them to make their own decisions and solve problems by themselves: an important part of their own social and cognitive development. Exposure to the world outside your home and family unit will help your child to learn and understand more about themselves. Plus, they’ll be meeting lots of people from different families and backgrounds. This helps kids get to know themselves better, their feelings better and understand how everyone is different. 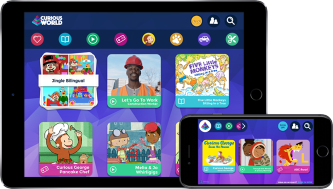 Although nothing will replace interacting with others, you can help your child grow their understanding and acceptance of others through the books and videos you introduce them to. For example, when you watch Nosku: Little Voice, ask your child what is different about Betty, and what her friends could do to make her feel more included! Sign up for Curious World here with coupon CW_20 for 20% off your first year!